Share Interns are encouraged to participate in a community service trip to Nicaragua. 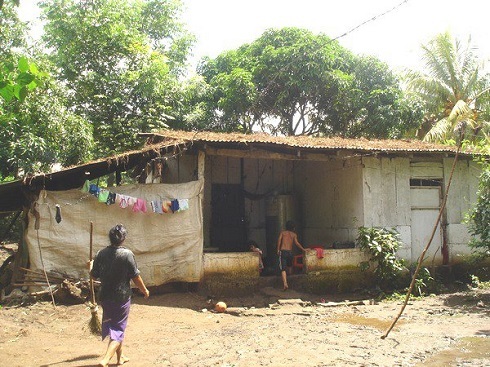 The interns work to assist poor Nicaraguan women to improve their living conditions. Eight participants traveled to Nicaragua to join the Women in Action group to conduct community service activities. SHARE has sent tens of interns to Women in Action within the last seven years. Several SHARE interns elected to participate in SHARE’s International Internship Program in Nicaragua this summer. The internship provides the participants with the opportunity to become immersed in a different culture while visiting one of SHARE’s established partner organizations, Compas de Nicaragua. Interns work with women living in poverty to teach them new skills and help them with development projects. The interns described this experience as life changing, and many wish to visit the program again. Interns from The SHARE Institute traveled to Nicaragua this summer to visit one of SHARE's ongoing project partners, Compas de Nicaragua. The students were hosted by Nicaraguan families and worked with women and children living in poverty during their stay. In August 2011, three students volunteered with Compas de Nicaragua, a partner organization of the SHARE Institute located in Nicaragua. Each volunteer worked closely with other volunteers and beneficiaries of the organization on various community based projects. This year, another group of SHARE Interns visited Compas de Nicaragua, one of SHARE's partner organizations. The interns worked with families living in poverty, but also enjoyed the beautiful Nicaraguan countryside and scenery while sightseeing. The women beneficiaries of SHARE's micro-credit program showed the interns how they make beautiful gourd art to sell at the marketplace. The interns also worked with the women to teach them new skills that they might find useful. Women in Action, in Nicaragua, and The SHARE Institute have teamed up to offer internship opportunities for students to visit and work with women who are involved in the project. These trips allow interns to experience the living conditions of extreme poverty and to make a difference in the lives of these women and their families. In August 2009, several SHARE interns and member of the local community visited Women in Action. While in Nicaragua, the interns participated in a myriad of projects including building bio-gas pits, implementing organic farming practices, and teaching English. The interns also conducted craft and skill workshops to participants from Women in Action. During their time in Nicaragua, interns stayed with local families, giving them a glimpse of life through the eyes of Nicaraguans. Interns were also given the opportunity to learn about the culture of Nicaragua through visits to historical sites. Women in Action, an organization that formed against incredible odds to answer the needs of the community. The group has forty women who participate in programs that focus on community health, nutrition, improving education and gaining job skills. Some current activities include gourd art that can be sold on the streets, and soy food production, which is used as healthier, more cost efficient alternative to rice and beans. 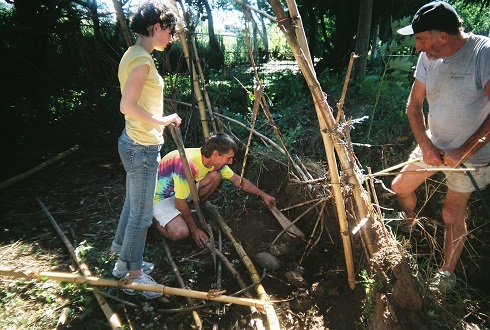 In late December 2008, a group of SHARE Institute interns and members of the community visited Compas de Nicaragua in order to work on its many projects. While in Nicaragua, the interns participated in a myriad of projects including building bio-gas pits, implementing organic farming practices, and teaching English. The interns also conducted craft and skill workshops to participants from Women in Action. During their time in Nicaragua, interns stayed with local families, giving them a glimpse of life through the eyes of Nicaraguans. Interns were also given the opportunity to learn about the culture of Nicaragua through visits to historical sites. 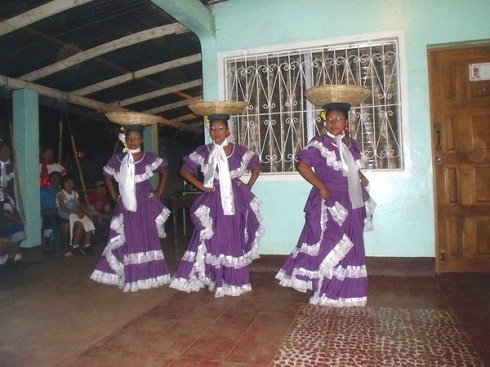 In late December 2007, a group of SHARE Institute interns and members of the community visited Compas de Nicaragua in order to work on its many projects. While in Nicaragua, the interns preformed a myriad of tasks ranging from building chicken coops and bio gas pits to teaching craft skills and English to participants in Women in Action. The interns stayed with local families, which gave them an opportunity to experience life through the eyes of Nicaraguans. Interns were also given the opportunity to learn about the culture of Nicaragua through visits to historical sites. Following their visit, the interns gave a presentation at an international night at The SHARE Institute in February. Interested in participating in the Nicaragua Internship? Visit our International Internship Program Page for more details!